It features 5 inch IPS Screen having 1280 x720p resolution, 1.2GHz quad core CPU integrated with 1GB of RAM and Android 4.1 Jelly bean OS. 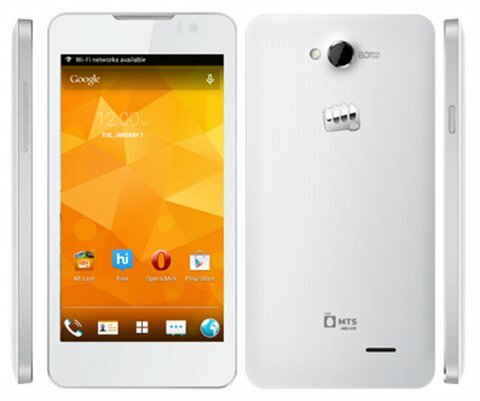 Micromax Canvas Blaze EG116 is a Dual SIM phone and supports GSM + CDMA. The handset packs with 8-megapixel primary and 2-megapixel secondary shooter. To make the hardware run there is 2000mAh battery. The Eg116 comes with 4GB in internal storage and up to 3GB expandable memory with external micro SD card support. It seems that company has partnered with MTS to launch this new phone, as it comes with MTS branding on the rear. SO MTS would offer some special Data Plans with this new Blaze-HD EG-116. The Micromax EG116 handset is listed on the firms official website. Micromax is also teasing Canvas Knight A350 which would be launch in Mid of March.